At some point in your stamp collecting career, are likely going to come across duplicate or extra stamps in your collection. You might receive them as a gift from a friend or family member, or simply see a stamp you know you already have but do not want to let it slip away. As you compile and organize your stamps, know that extra or duplicate stamps do not have to decrease your stamp collections value. On the contrary, having a few extras is actually a good idea and can help you continue building your collection in an affordable way. One of the best ways to deal with your extra stamps is to arrange a trade or a swap with another collector. Chances are, many other collectors have the same problem you do and have a number of duplicate stamps with which they want to find something to do. Arranging a trade helps you both, as often different collectors have different duplicates. Another benefit to trading is that it can open up your collection to foreign stamps. Groups like the International Society of Worldwide Stamp Collectors exist for the sole purpose of connecting stamp collectors from different countries in order to swap stamps. If you do not already swap internationally, then establishing some contacts in other countries virtually guarantees that you can eliminate duplicates while augmenting your stamp collections value with unique foreign stamps. As a side benefit, you will also be able to derive intriguing insights about the background, history, and culture of different countries through their stamps. You may also benefit from selling your duplicate stamps, depending on what kinds of stamps they are. Among the most frustrating parts of collecting stamps for most people is that they are constrained by a tight budget. Selling extra and duplicate stamps can free up some of the money you might need to put toward that one stamp you have been eyeing for a while but haven’t been able to justify purchasing just yet. If you decide to sell, use your network of fellow stamp collectors first. Going to a dealer can often lead to disappointment, as you usually cannot get a fair price due to their need for a markup. The best way to preserve your stamp collections value by selling your duplicates is to find other collectors directly. 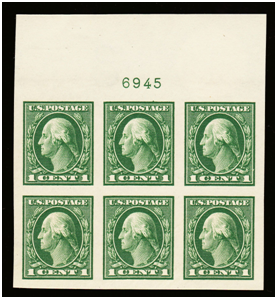 Stamp auction sites can be a good route to go, as long as you abide by the proper standards for listing your extra stamps to avoid miscommunications with potential buyers. Finally, a great way to deal with your duplicate extra stamps is to use them as gifts. You could give the stamps to someone you know to be an avid collector, building rapport or good will. Alternatively, you might try compiling your duplicates and giving them as a gift to a young friend or relative in order to stimulate their interest in stamp collecting. Getting another individual on the path to stamp collecting can be a fun and rewarding experience, as you can offer your own mentorship to help them get their collection going, and soon you will have another person with which you can enjoy swapping and collecting stamps.